*NOTE: Tickets will NOT be available at the door. The “Scalable” founder learns to overcome personal challenges, pushing the limits to achieve lasting success. Failure to manage individual demons can doom a company and destroy friendships. Personal growth may be one of the toughest challenges an entrepreneur may face. Only those who learn how to grow personally will survive and thrive — scaling the company, scaling the team, and “scaling” themselves. 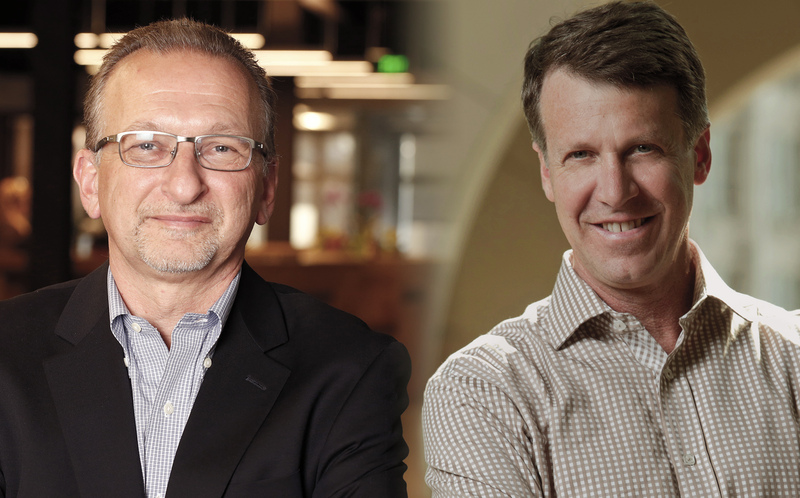 If you are a founder or are thinking about starting a company, join us on Thursday, November 2, 2017, for a fireside conversation with Jacques Benkoski and Mark Coopersmith. Hear from two seasoned entrepreneurs and investors about the seldom-addressed personal challenges you will face in growing your startup and how to overcome them. An international businessman, Jacques was born in Belgium, educated in Israel and the U.S., held executive positions in Europe and the U.S. Jacques is an active investor in the Israeli market and in the IT markets in the U.S. Past USVP companies include Trusteer (acq by IBM), Dune Networks (acq Broadcom) and ClearShape (acq Cadence) along with executive chairmanships at Certess (acq Springsoft) and Synfora (acq Synopsys). Before joining USVP, Jacques was CEO of Monterey Design Systems from 1999 until its acquisition in 2004. He founded the European subsidiary of Epic Design Technology (EPIC) which had a successful IPO in 1994 and became Vice President of European Sales following its acquisition by Synopsys. Earlier in his career, Jacques held a number of positions at IMEC, IBM and STMicroelectronics. Fluent in English, French, and Hebrew, Jacques holds a B.Sc. in computer engineering from Technion Israel Institute of Technology, and an M.Sc. and Ph.D. in computer engineering from Carnegie Mellon University. He is on the Board of Governors of Technion and on board of the California Israel Chamber of Commerce. Mark Coopersmith is an educator, entrepreneur, and best-selling author. A Senior Fellow and Faculty Director at UC Berkeley’s Haas School of Business, he teaches entrepreneurship, innovation, and leadership to current and future leaders at CAL and around the world. As a Fortune 500 executive and corporate entrepreneur he has built and run global businesses for Sony and Newell Rubbermaid. He has launched and built successful (and not-so-successful) Silicon Valley startups — Google now owns an e-commerce platform he founded. Mark is a frequent keynote speaker and moderator. His entrepreneurship students and teams have launched more than 100 ventures globally. Many of these have failed, but more than a few have seen success as well. Learn more in his best-selling book “The Other “F” Word: How Smart Leaders, Teams and Entrepreneurs Put Failure to Work (Jon Wiley and Sons, co-authored with Jon Danner). Founders Series events provide a unique opportunity for startups and technologists to take part in an interactive session. Come prepared with your burning questions! If you would like to have the rare opportunity to take the “Hot Seat” on stage to receive feedback from the speakers, please be sure to enter your question in the field below. Startup founders selected for the “Hot Seat” will be notified in advance. For all other questions, please contact founders.series@vlab.org.